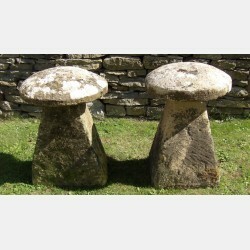 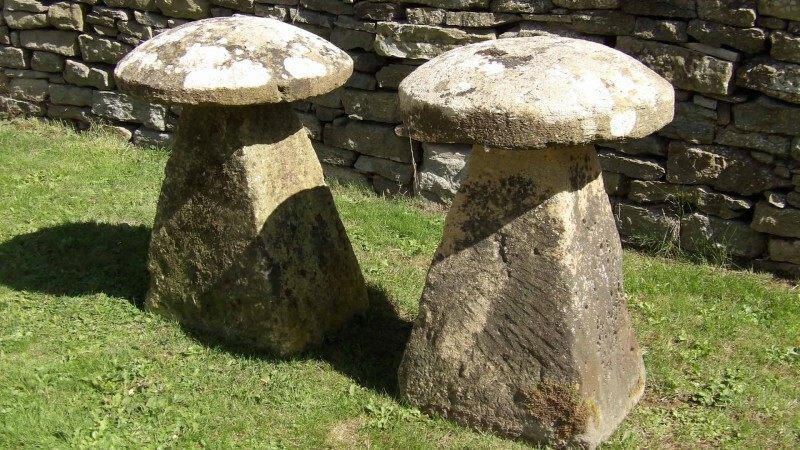 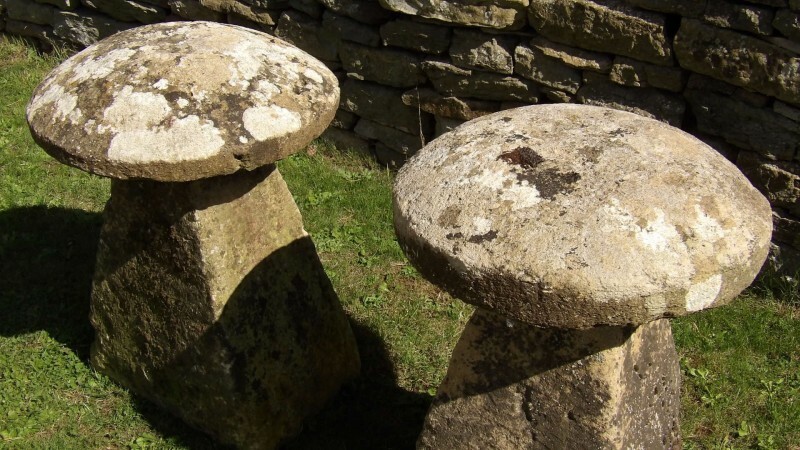 Two antique staddlestones from Worcestershire, the round tops on typical tapered square bases. 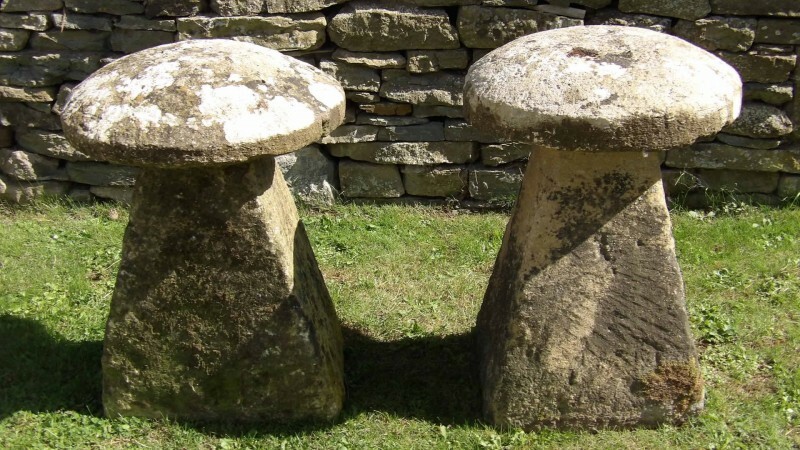 Both staddlestones are made from well weathered limestone but differ slightly in shape and patination. 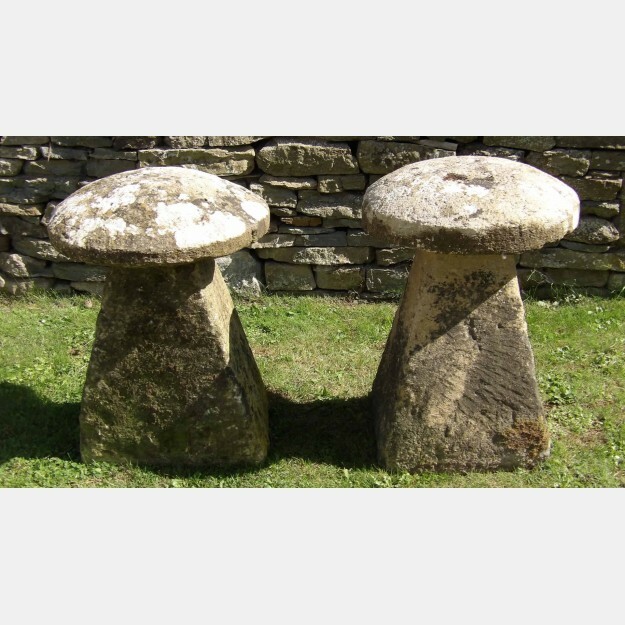 Price shown is per staddlestone.